Supersonyk created this mammoth sprite Photoshop more than four years ago. YES, FOUR! But I didn't see it until this weekend thanks to reader Yan. 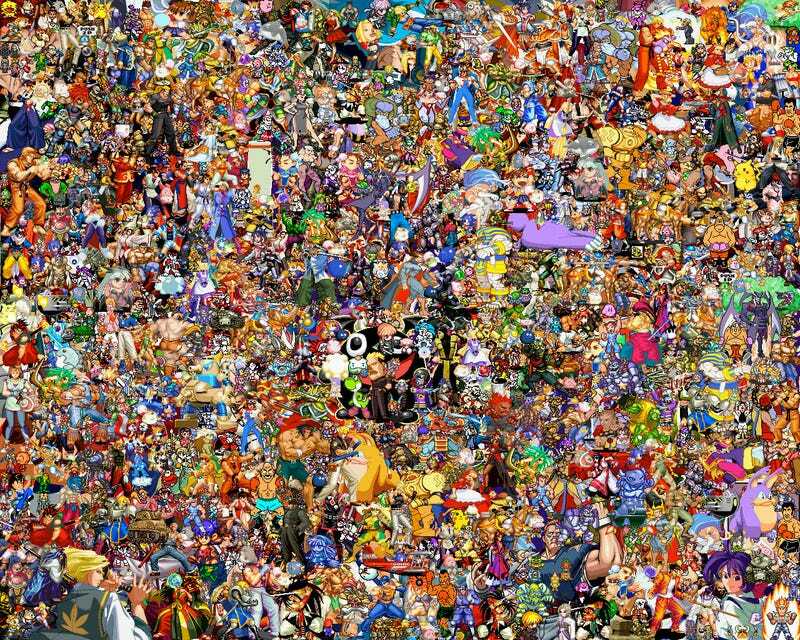 Now, identify all of the game characters. And.... go!